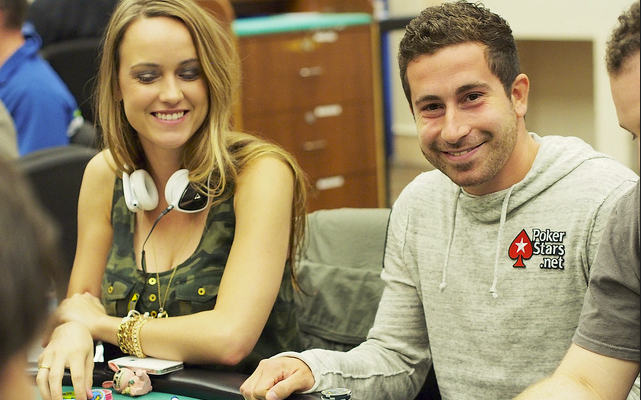 Thought the ‘Poker Brat’ was dead? Phil Hellmuth brought him back during the 2014 WSOP with a rant to end all rants…Once like any other young poker player, JC Tran used to be more frivolous with his money. However, an older Tran has something that keeps him more in line these days…Like always, the heavy number of American players are keeping gold bracelets in the States. But Europeans are winning their fair share of 2014 WSOP tourneys too. Find out more on these stories in the Weekly Flop. Not long ago, Phil Hellmuth did a segment with PokerStars where he discussed his evolution from the Poker Brat to a more mature player. Anybody who was skeptical of this segment was recently proven right when Hellmuth returned to his old ways by going off on 2010 Main Event champ Jonathan Duhamel. Playing in the $10k HORSE event at the 2014 WSOP, the Poker Brat quickly saw his 200,000 chips disappear in 45 minutes. After going from a top-5 stack to busting out of the tournament, Hellmuth went on an hour-long rant where he berated Duhamel. According to onlookers, he was angry that the Canadian kept taking all of his chips. If there’s any good that came out of this whole situation, it’s that Duhamel was able to keep his cool and stay quiet the entire time. Last summer, JC Tran was all the rage as he carried a chip lead into the 2013 Main Event final table. Unfortunately, the cards didn’t fall his way and he busted out in fifth place, which was still good for a $2,106,893 score. A year later, Tran is already off to a good start in the 2014 WSOP, having final tabled a $25k Mixed Max event ($290,622). Tran will no doubt be looking for some more big scores as the world’s largest poker event rolls on. And one thing that you can be sure of if he does hit another large cash is that the wealth will be spread around to his family. As you can see, Tran isn’t the stereotypical poker pro, who’s constantly making prop bets and staking others. In fact, he heavily advises against the latter, saying that he’s lost way more money staking people than anything. The 2013 WSOP was all about a Canadian invasion as players from the Great White North won 10 gold bracelets. And while we wouldn’t call what’s happening this year an invasion, European players are faring quite well at the 2014 WSOP. David Kitai actually tied a record by winning the Event #15 $3k Six-Handed NLHE tournament along with $508,640. The Belgian became just the third European player to win three gold bracelets. George Danzer took down the first-ever $10k Razz Championship and earned $294,792. The German had previously made six WSOP final tables and was able to break through to win a bracelet. Danzer’s countryman, Dominik Nitsche, became a two-time WSOP champ by winning the Event #21 $1k NLHE event and $335,659. There are still plenty of tournaments left in the 2014 WSOP, so it’ll be interesting to see how many more European bracelet winners we see.